Wholesale paint and decorating tool suppliers to independant retailers. 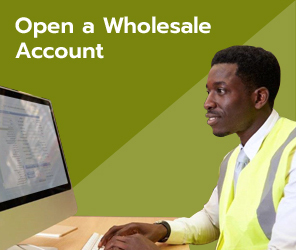 At Winterstoke, we are very proud of our efficient wholesale supply to Independent retailers. As a family business, we know how important it is to receive your goods on time and in good condition. We pride ourselves on our stock levels and availability but most of all our service. We understand the importance of having products readily available to our customers. Our vast warehouse, houses a variety of products ranging from Dulux, Crown, Berger, Johnstones Retail, to Ronseal, Polycell, Everbuild and Hammerite. Our stock levels on all ranges are high, which should ensure that whatever you require we will have plenty in stock, ready for your next delivery. Our Delivery area includes parts of Devon, Dorset, Gloucester, North Cornwall, Somerset, South Wales & Wiltshire, have you seen our vans in your town? We require all orders to be in by 2pm the day before delivery, however we do operate an, add on facility allowing all customers to continually add to their order up until 8:30am on the day of delivery. or email us and we will be happy to help.